Wonderful high/low dress from AX Paris. 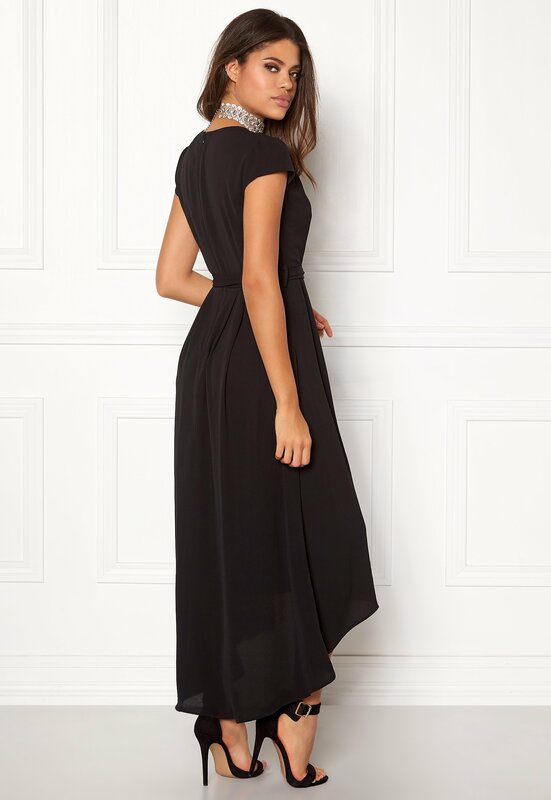 Nicely flowing design with wrap over front, V-neck, detachable waist band and back zip fastening. Woven fabric. Back length from shoulder 140 cm, bust 70 cm in size S (UK10). The model is 175 cm tall and is wearing size S. Hand wash only.